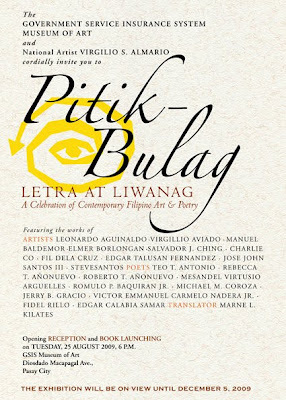 Pitik-Bulag: Letra at Liwanag will be having a book launch and an exhibit opening on August 25, 2009 at 6pm in GSIS Museum of Art in Pasay City. The book features works by some of the leading poets & artists. 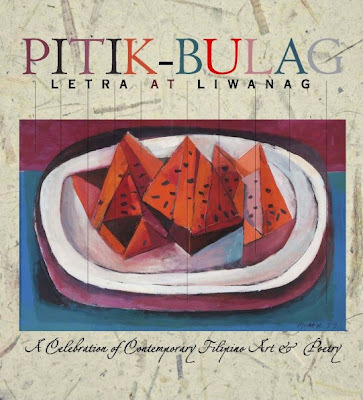 The book is published by the GSIS Museum of Art, edited by National Artist Virgilio S. Almario, translated with an introduction by Marne Kilates, and designed by Fidel Rillo. The exhibition will be on view until December 5, 2009.